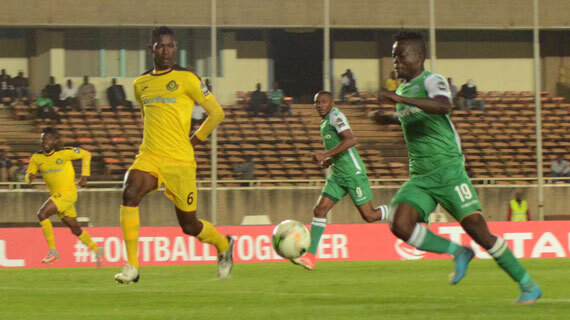 Kenyan champions Gor Mahia FC on Wednesday firmed their quest of progressing to the knock out stage of the CAF Confederations Cup after smacking visiting Yanga FC 4-0 at Kasarani. A goal by Jaques Tuyisenge , a brace by Ephrem Guikan and an own goal summed up a disastrous outing for The Young Africans who will wish to quickly forget their short trip to Nairobi. This was the first win for Gor Mahia in this year’s Confederations Cup after drawing in their opening two matches against Rayon of Rwanda and Algiers from Algeria. On the other hand, the heavy loss for the Tanzanian heavyweights sealed their fate as their hopes of progressing to the next round of the competition went up in smoke with the heavy loss. Yanga are bottom of the group with a single point gained from their 0-0 draw at home against Rwanda’s Rayon Sport having lost their opening match 4-0 against group leaders USM Alger in Algeria. The win catapulted Gor Mahia to five points and will await results of the match between Rayon Sports and Alger of Algeria to determine whether they take the lead at the summit of the table standings. Before Wednesday fixtures, Alger topped Group D with 4 points followed by Gor Mahia in second with 2 points.